Building Resilient Systems on AWS: Learn how to design and implement a resilient, highly available, fault-tolerant infrastructure on AWS. Each eBook also comes in PDF, ePUB, and Mobipocket DRM-free formats, so you can add them to almost any device. Grab this book bundle if you are a programmer like me, desperate to improve your design or Photoshop skills! 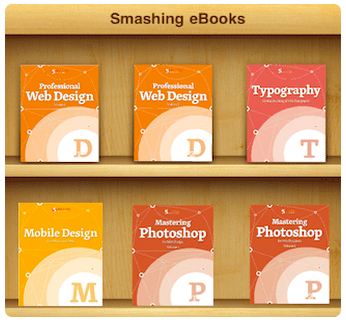 Get the "6 Smashing Books for Web Designers" Bundle! © David Walsh 2007-2019. All code MIT license.Hosting by Media Temple.